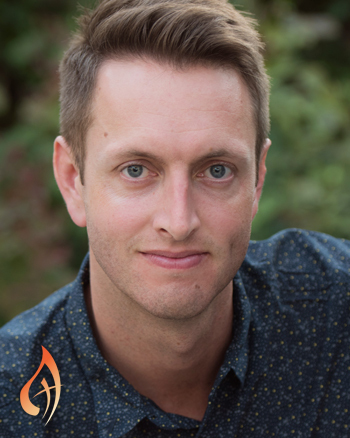 Casey has been composing liturgical music since college, he is now Director of Music at Holy Trinity Catholic Church in California. His contemporary pieces have been featured in OCP resources and showcases. Casey studied English and Music as an undergraduate student at the University of San Diego and completed a Master’s in Nonprofit Leadership and Management at USD. He started writing music as an undergraduate student and first composed for liturgy when, as a senior in college, the director of the chapel choir asked for a closing song for the Baccalaureate Mass. As a music director in a parish with the opportunity to serve a large community each week, Casey finds inspiration from the congregation itself. At each Mass, people from different generations, backgrounds and viewpoints experience God in both a communal and uniquely personal way. Casey’s goal is to write music that embodies and shares the beauty of our faith in a way that reaches as many different types of people as possible. He believes that songs have the power to nourish faith throughout each person’s spiritual journey. The experience of encountering God’s grace and truth through music is something that he wants to facilitate for others through songs and ultimately, help people see themselves closer in their relationships to God than they previously realized. His compositions “All Things New” and “Three Days” were featured at the 2017 and 2018 OCP Showcase at the National Association of Pastoral Musicians (NPM) Conference. Other compositions by Casey such as “You Will Be Our God” and “The King Has Come” are found in Choose Christ and Spirit & Psalm. Casey lives in Long Beach, CA, where he is currently working on his first collection of liturgical music.